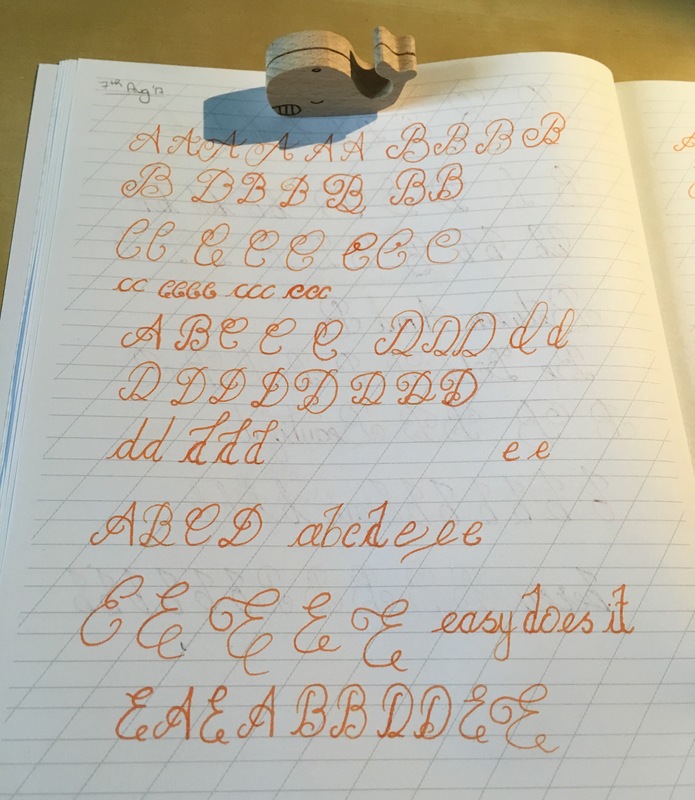 The calligraphy practice continues, today the letters C, D and E.
I decided to try a different nib today and it made quite a difference. The nib was a thin tipped one like the one I had been using but for some reason seemed easier to write with. C was fairly easy but hard to add the flourishes, to me they look like giant lower case e’s. More practice needed. I liked writing D and E. I think it’s the flourishes, I seem to find certain letters easier than others. Does this happen to you? A, D and E seem to be the favourites so far.